How to find Ogna camping? 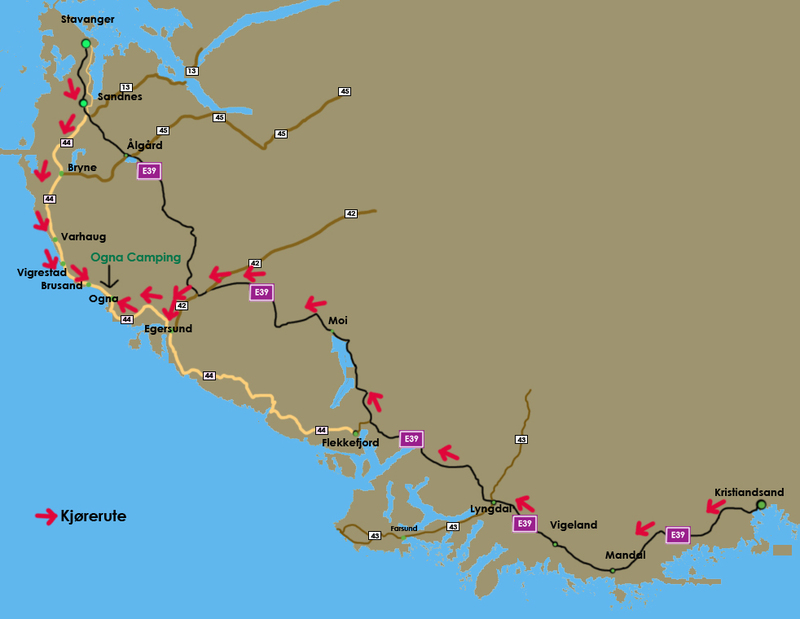 Coming from Kristiansand, the fastest way is to drive toward Egersund on E-39, then follow Rv44 to Ogna camping. Following Rv44 from Flekkefjord is a not advised. 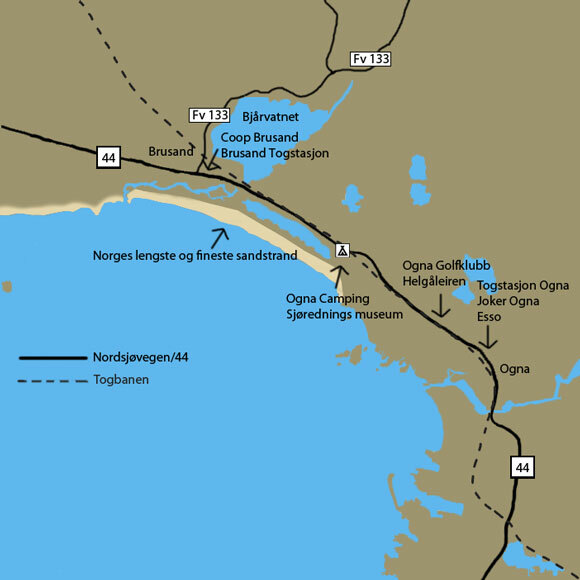 If you come from Stavanger, follow Rv44 until you get to Ogna camping. Leavening the campgrounds, turn right on the Rv44, the nearest store is only 2.5 kilometers away. There will be a Joker Grocery store which is open until 22:00 (closed Sunday) and an YX Petrol station on the right. There is another grocery store called COOP Marked in Brusand. Turn left when leaving the campgrounds, it is just under 2 kilometers up on the right.. It is only open until 20:00 (18:00 on Saturday, closed Sunday). The easiest way to get to travel if you want to visit Egersund, Stavanger or Sandnes is certainly the train. The nearest station is only 2 km away. Here you also select between Brusand or Ogna station. Both stations are located right on the Rv44. See map above. What are the GPS coordinates of Ogna Camping? What does it cost to stay at Ogna Camping?